Chinese state media warned the Group of Seven nations on Thursday not to "meddle" in South China Sea disputes, as leaders from the bloc gathered for talks in Japan. The commentary came as European Council President Donald Tusk said on the sidelines of a summit in Ise-Shima that the bloc should take a "clear and tough stance" on China's contested maritime claims. Beijing has angered several Southeast Asian neighbours by claiming almost all of the South China Sea and rapidly building reefs into artificial islands capable of hosting military planes. China's official Xinhua news agency published an article saying the G7 -- which excludes Beijing -- "should mind its own business rather than pointing fingers at others". Xinhua writer Chang Yuan accused Japan of "attempting to take advantage of its G7 summit host status and draw more 'allies and sympathizers' to isolate China". Both Washington and Tokyo -- which is locked in a separate dispute with Beijing over islands in the East China Sea -- have warned against Beijing stoking tensions in the contested waters. Chang wrote that such remarks showed "Japan's hidden agenda: to meddle in the South China Sea issue". 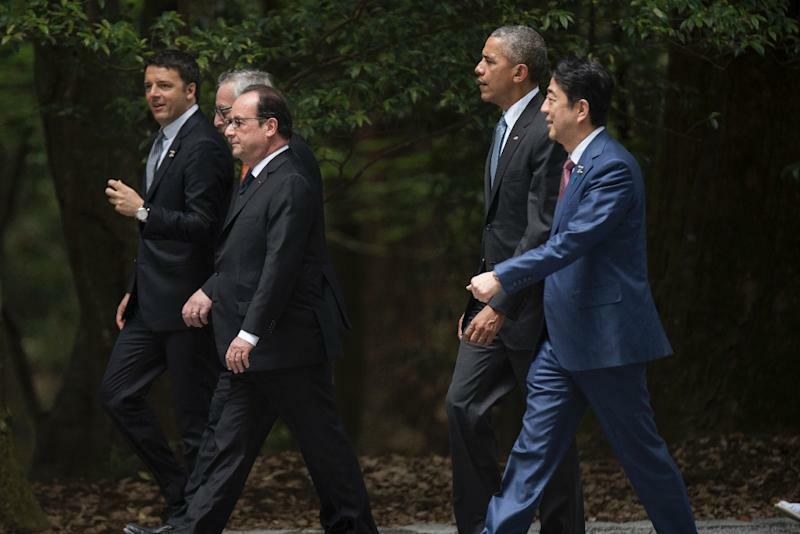 Weighing in on the South China Sea "exceeds the G7's current influence and capability. What's more, it reflects a lingering Cold War mindset", Chang added. The commentary came ahead of a ruling expected within weeks on China's claims brought to the Permanent Court of Arbitration in the Hague by the Philippines. China has warned outside parties not to meddle in the South China Sea, but has also attempted to draw nations as far away as Niger, Togo and Burundi into the dispute, insisting that they support its rejection of the tribunal. British Prime Minister David Cameron warned China that it must abide by the outcome of the international arbitration as he arrived in Japan for the G7 summit, the Guardian newspaper reported. Beijing summoned top diplomatic representatives from the Group of Seven nations including France and Britain in April to express anger at a joint statement on the South China Sea. The G7 said at the time: "We are concerned about the situation in the East and South China Seas, and emphasise the fundamental importance of peaceful management and settlement of disputes."